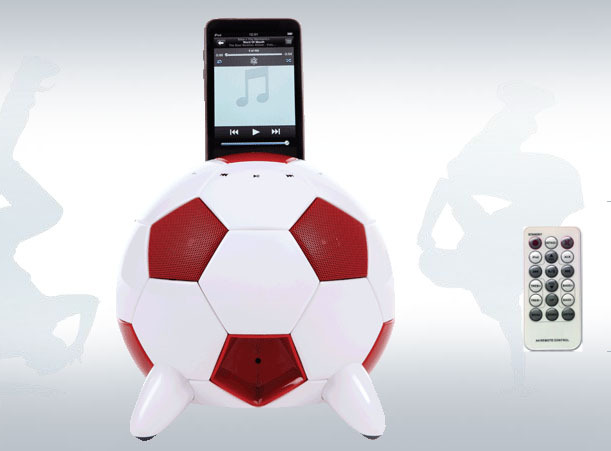 Novelty iPod docking stations might seen so 2006, but Speakal is betting there’s a footballer or two in the world who could use a soccer-themed iPod docking station to better express themselves and their love for sport. 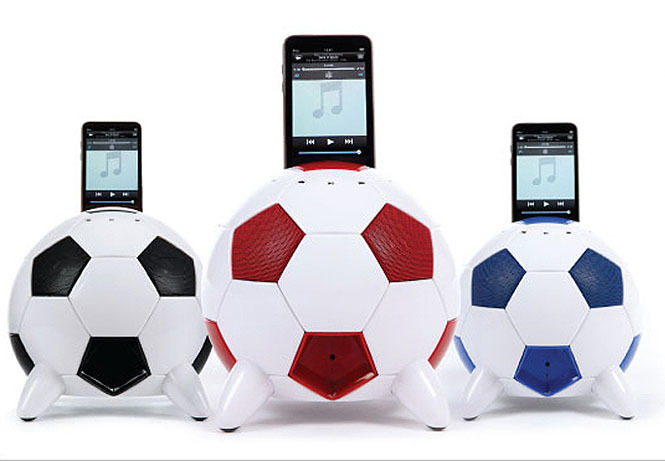 Enter the Speakal miSoccer iPod Docking Station Speaker, a new docking solution that not only charges any recent iPod, iPhone, or iPod touch, but also sports two main speaker drivers and a 15-watt subwoofer—plus it looks like a soccer ball. And it’s available in red, blue, and black! The miSoccer features a spherical design that lets the unit push sound in a 360-degree pattern using two multi-way speaker drivers and a 15-watt subwoofer to bring out the bass. Users can control volume and tracks using touch controls on the unit itself or a remote control, and the miSoccer is compatible with iPod Classic (3G, 4G, 5G, 5.5G, 6G), the iPod nano, the iPod Touch, and the iPod Mini; it also features a 3.5mm input jack for connecting up other audio sources. The miSoccer is available now from Speakal for $119.99.